Air Jordan Spizike “Bordeaux” has been making a lot of noise since November and the excitement is about to reach another level with the upcoming release of the impressive hybrid shoe. 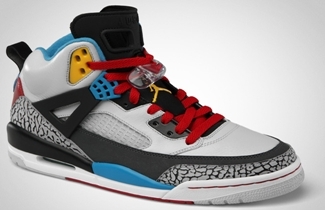 Jordan Brand recently announced that the eye-catching edition of the Air Jordan Spizike will be hitting shelves this Saturday, February 4 for $175 per pair. The Spizike “Bordeaux” is mainly made up of white letter on the upper part accented with varsity maize, varsity red, and sapphire blue touches that sits on a white midsole. 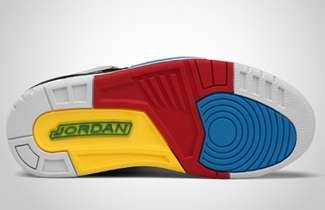 The outsole also boasts varsity maize, varsity red and sapphire blue accents. Watch out for this one this Saturday and make sure to grab one immediately!